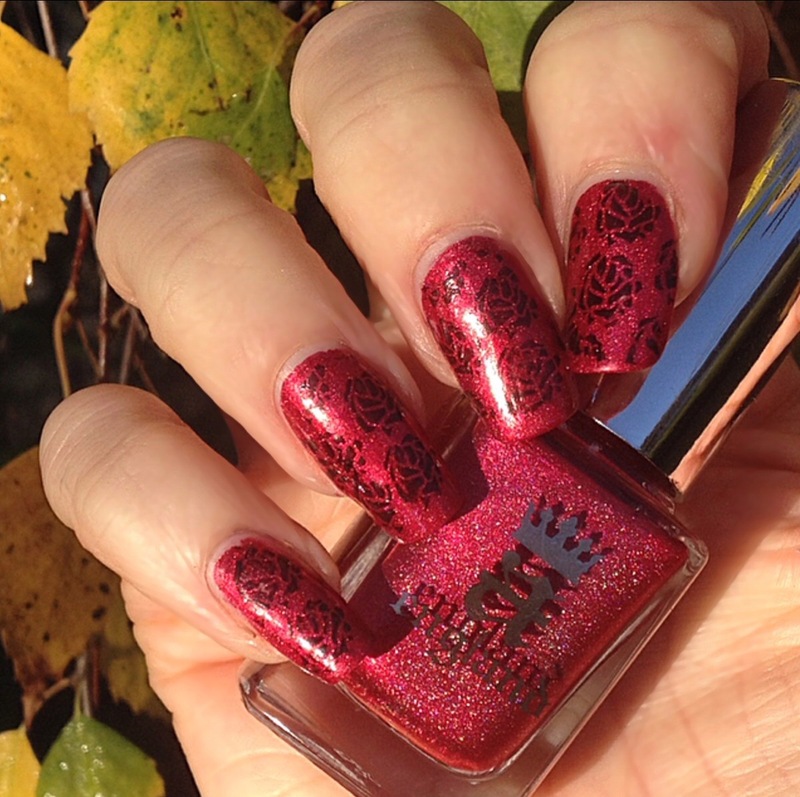 I have an absolutely stunning polish to show you today. a-england Rose Bower. It is from the Burnes-Jones collection which is based on a series of paintings of the Sleeping Beauty story. 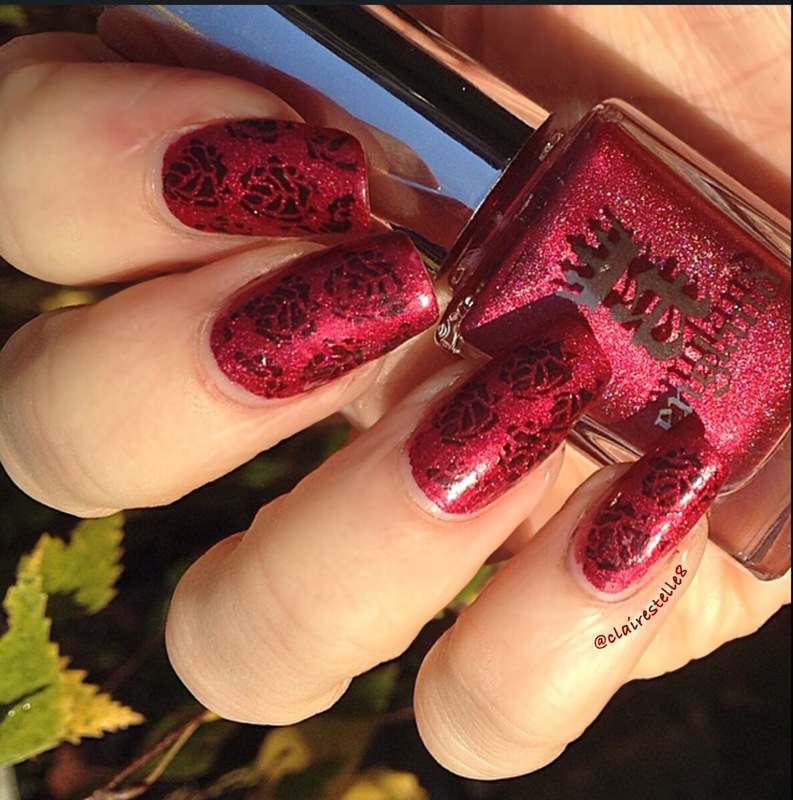 Rose Bower is a rich raspberry red with a subtle silver holographic effect. It feels and looks so luxurious and has such depth. Like all a-England’s I have used, this applied like butter and is so richly pigmented it could easily gave been a one coater. 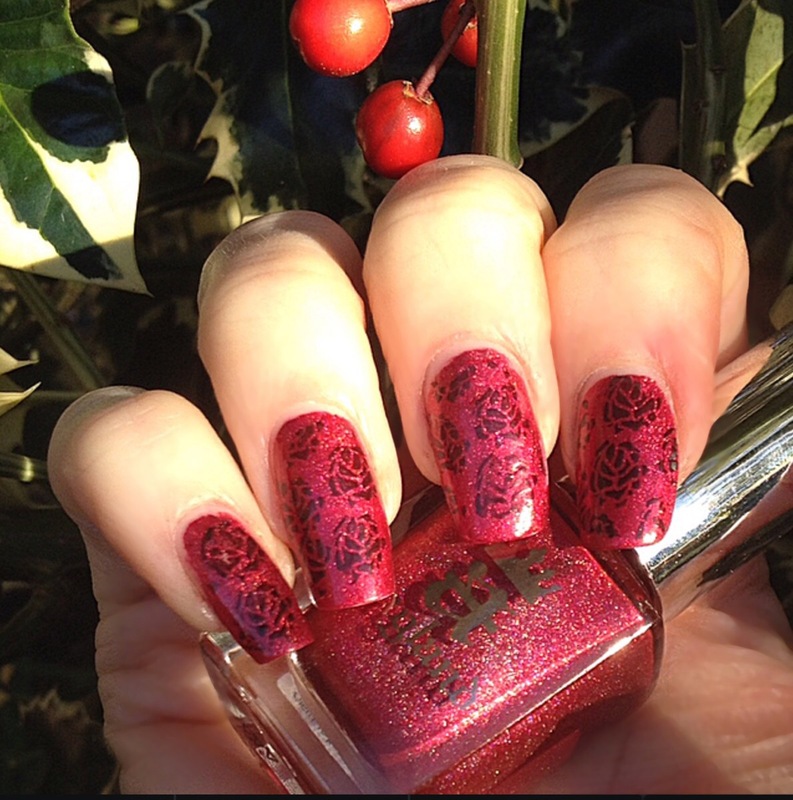 I decided to apply two thin coats though just to be sure and then I stamped some rose images over it from Moyou plate Pro XL 23. ← A summery gradient just in time for autumn!